These are the words of Henry Lee upon the death of our first President, George Washington. Americans throughout the 1800s, cherishing these words, unofficially and spontaneously celebrated the Father of their Country’s birthday every February 22, his actual birthday. President Rutherford B. Hayes, in 1879, signed a law making the day an official holiday, and it became a national federal holiday in 1885. The day was simply known as Washington’s Birthday. The holiday has changed in two ways since President Hayes signed it into law. First, it has become a “celebration” of all American Presidents, the institution itself; second, it is celebrated every third Monday of February. Here’s how these changes came about. Did you notice all the “President’s Day” sales ads? This is why the holiday was moved to the third Monday of February, to give us a three day weekend and provide a boost to the economy. The movement began in the 1960s with Illinois Senator Robert McClory, who would later work on the U.S. House Judicial Committee during the Watergate Scandal, when he took the lead in presenting the Uniform Monday Holiday Act. This Act called for, among other things, the moving of the official celebrations of Washington’s Birthday, Memorial Day, Columbus Day and Veteran’s Day to specific Mondays. The Uniform Monday Holiday Act passed in 1971. Another reason the holiday was moved to the third Monday of February was Abraham Lincoln. There was no federal holiday honoring him and it was about time we did. But do we have two holidays in February, one for Washington and one for Lincoln? A practical solution was settled upon. Honest Abe was born on February 12, Washington on February 22, so instead of creating two separate holidays in the same month they combined both into one and re-named the day, Presidents’ Day. A shining example in victory, in loss, and even in shame. The Constitution, when first written, placed no Presidential term-limits in Article Two. George Washington could have served as long as he wanted. Of all his noble acts of heroism, the greatest of these was arguably what he did at the end of his second Presidential term. Washington knew the world was watching the American experiment with a critical and skeptical eye. Many thought we’d fall apart or go the way of European Monarchies and history proved that people in Washington’s position rarely, if ever, relinquish power. 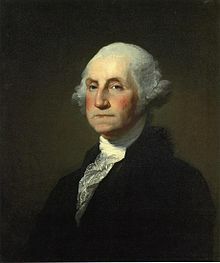 Washington, knowing history and knowing all eyes were upon him, gave the world something new to behold – he willingly stepping down after his second term. The great example of President Washington was not how he used power while in office, but how he relinquished it. Washington’s successor was John Adams. Adams ran for a second term in 1800. It was a hostile election and the first one in which the press played a huge role. The papers were full of awful characterizations of men who gave birth to this country. The very men who risked their lives, fortunes, and sacred honor in times which tried men’s souls were now being portrayed, in speeches and in print, as the county’s greatest enemies, the country they created! Adams lost becoming the first sitting President to be voted out of office. People were now concerned. History was full of examples, fresh ones, of violent transfers of power and tempers were hot in America after this nasty election! The campaign was one of the harshest ever! Many wondered if Adams would step down peacefully and others were worried about the possibility of bloodshed. The world was again watching. John Adams accepted defeat and peacefully departed Washington. The first Presidential loss saw zero incidents of violence! This has become a shining example of a peaceful transfer of power which we witness every time a new President takes office. We owe John Adams a debt of gratitude for setting such a noble precedent. It’s now the 1970s, Richard Nixon is president. It was uncovered that he was spying on the Democratic Party during the election. We know it as the Watergate Scandal. President Nixon had foolishly claimed about presidential power, “When the President does it that means it’s not illegal.” That sounds like he’s claiming the divine right of kings! Congress wanted Nixon to turn over the tapes, Nixon said no. The Supreme Court voted unanimously to side with Congress. Nixon then resigned knowing the tapes would expose him. Washington stepped down willingly after two terms. Adams left peacefully after losing an election. Nixon resigned in the middle of his term amidst a scandal. All these were peaceful transfers of power. In virtue, in loss, and even in shame, American institutions are shining examples in a world characterized by violent power struggles.